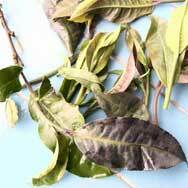 Zi Ya, or Purple Bud in English, is so named because of its purplish color leaf and stem. This tea leaves were picked from a new tea tree species discovered in 1985 by a group of experts from the Yunnan Tea Research Center. 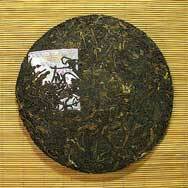 Until today, production of tea cakes using Zi Ya materials is still very limited due to the high cost. 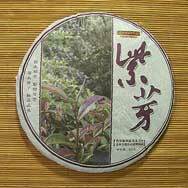 Really delicious purple leaf tea, everyone who tastes this tea loves it also. It´s a fantastic example of a per that has matured nicely, lost its bitterness and has developed a lovely warming earthy and balanced composition of flavour. Highly recommended. 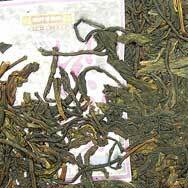 Wonderful pu´erh.The aroma is gentle and delicate but it lasts for many infusions;in some way i thought about wuyi oolongs when first brewed it.I don´t give it 5 stars just because i think it´s still young. Most interesting tea for aging and I will wait for it to mature. Has the "purple" character that many like, including me. Otherwise, it’s a pleasant, crisp, simple sheng, though the interest deepens in later infusions.